When I first viewed the photograph below, my eyes opened wider, then I immediately attempted to figure out the photography technique used to create such a captivating image. I still don't know exactly how the photographer did it, but I have some ideas. Remember I am new to digital art. I'll be able to perform research tomorrow on the specific technique that was used to shoot the picture. I've been working all day and it's after midnight here in San Francisco. For now, let's enjoy the entertainment. The abstract image below is more along the lines of my knowledge of photography. I became a student of digital art after downloading a photography app from Play.Google.com. If you cruise this blog for a few minutes you'll find a lot of digital images I created using several Android apps. The applications nowadays are so simple and intuitive it's incredibly easy for anyone to instantly become creative. I write for several blogs and I enjoy posting visual content as well as text. I also create videos out of the leftover abstract images so I'm constantly creating content online. Photo credit: @ricoramiro1 on PicsArt.com. This is a quick post. I want to say thanks to all the PicsArt members who viewed the digital art I created below. I have a lot of fun on PicsArt because I thoroughly enjoy creating digital art. The weekend is arriving soon so we can all have a little breathing room. For those that you who are interested in viewing more abstract images and digital art check out DeviantArt. It's a great platform even though there are a lot of children who are active members. Thanks for visiting this blog which is not related to what we do on those other platforms. I want to change my life so I write about what's going on in my life. The Internet has changed our lives so much for so long we have generations of people whom, cannot imagine living without the ability to instantly connect to anyone anywhere. And, more importantly, the word cloud now has new meaning for everyone. When I was in grade school I woke up on a crisp and clear morning in December to see clouds coming directly towards my window. As I watched the clouds move through the sky I was in awe of God, nature and creation. Not long after that experience our teacher began a lesson on the atmosphere and as he was discussing the clouds, my young mind raced to the experience I enjoyed a few days prior. I had a good day in school that week and I learned about the ozone layer and the quality of the air we breathe. Today the word cloud has new meaning for me. When I hear it I don't think about the puffy white things in our atmosphere anymore, I think about computers and how easy it is for us to instantly share photographs and documents via the cloud. Cloudup allows you to share streams of video, photos, music, links and files. Give it a try, then come back here to let me know how it worked for you. Watch the video below to learn a little more about Cloudup. My personal experience with the platform has been positive. Very recently I entered a 90 day drug rehab facility only to leave a couple weeks later. I received treatment at the Baker Street facility which is under the umbrella organization Baker Places. The alcohol and drug dependency programs offered at Baker Places are top notch and the staff are college trained. The only problem is the company hires people that consistently bump heads with people who are Trying to change their life. While I was at Ferguson Place a man named 'Tom' was asked to leave because he became irritate after a counselor literally got in his face and yelled at him as loud as she could. It was like watching peers argue instead of a professional and a client. Can an Inexperienced 20 Something Help an Addict Change His or Her Life? I experienced a similar event at Ferguson Place as well when a different counselor slammed a phone in my hand in an effort to let me 'have it' for becoming upset about a missed phone call. She was only a few years out of school so I thought it was youth and inexperience that caused her to get down to level. Enough of that jazz ;) the text below is an email I sent to my case manager two days after I relapsed and didn't return to the facility. I'm still going to attempt sobriety because I'm too tired of living the life of an addict. I got your message. Thanks for calling and for the support. I'm sorry I f-ed up. A few minutes ago I spoke to Jane at Baker Street to arrange a time tonight to collect my belongings. I have a doctor's appointment in a few hours so I'll be able to get the med release Baker Street requires to release my medication. What matters now is whether or not I remain in relapse mode. I'm thinking of detox then a harm reduction program. I'm willing to try something different in order to change my life for the better . I'm not going to give up on attaining sobriety. There are people in my life who care about me and professionals like you and Carina that are offering support and guidance. It'll work out well. I haven't consumed any drugs since Monday morning and I feel good. If you've been looking for the Mark Sherman video Changes in My Life press the play button below. The video also contains all the lyrics. If you want to upgrade to Windows 10 for free, watch the video below. You'll learn how to install Windows 10 for free using the Media Creation Tool. I inserted this pic because I got tired of looking for it. This is a 10 second video on making an American flag using the PicsArt app. 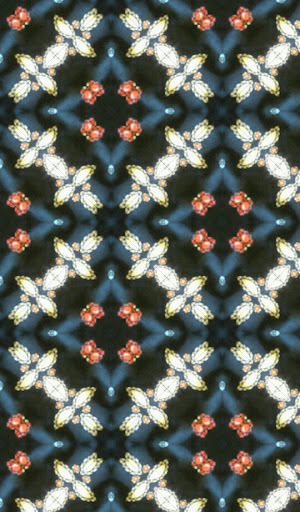 I created this Android background using a kaleidoscope app and my smartphone.